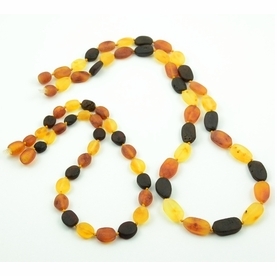 Amber Teething Necklace with perfect companion for Mom, made from the highest quality cherry polished and raw Baltic amber by Lithuanian amber artisans. 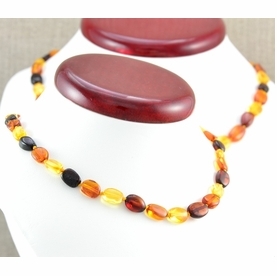 Baltic amber is a fossilized resin, not a stone, rock or gem. 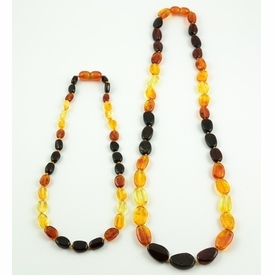 It is therefore warm to the touch, as well as very comfortable and light to wear. 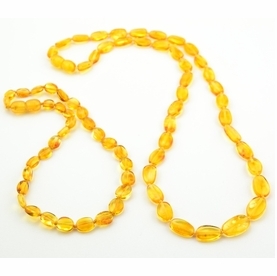 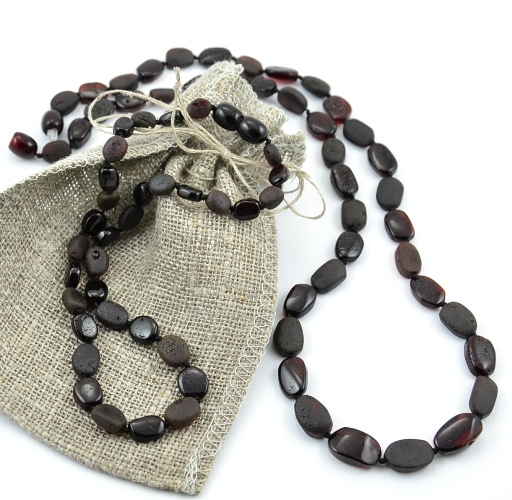 The string in our amber healing necklaces is knotted by hand in between each and every bead, so should the necklace break (which it should if necessary), the rest of the beads will not scatter. 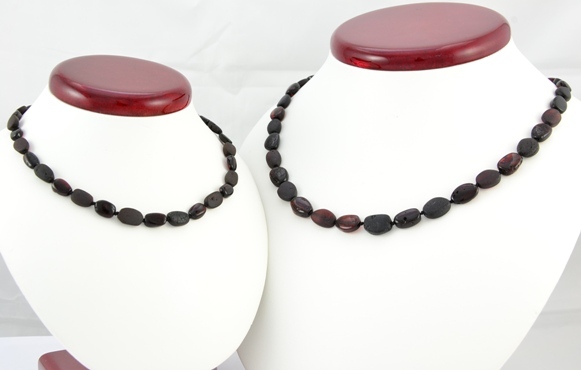 The necklace fastens with a screw clasp that opens and closes easily.